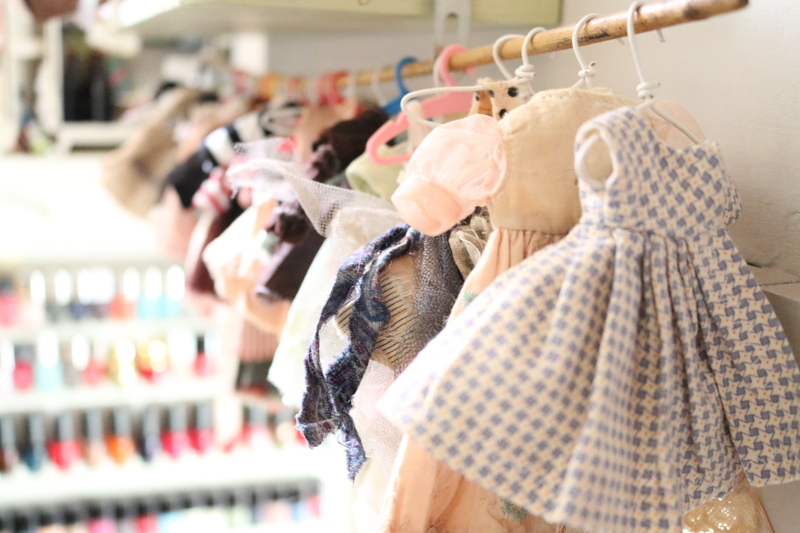 I have always loved dolls and over the years I’ve amassed a large collection of vintage and antique dolls from doll fares, antique shops, flea markets, carboot sales, anywhere I could hunt them out. Whilst searching on eBay I came across a Kenner Blythe. I’d had a beautiful red head one as a child but my brother had broken it whilst opening it up to see how the eye mechanism worked so on rediscovering them all the nostalgia came flooding back to me and I was hooked! When my daughter Bernadette went off to university she suggested that I created an Instagram account, it would give me a place where I could post pictures of my Blythe’s. She thought it would be an interesting site and a fun thing for me to do. At the same time it would be a way for us to communicate while she was away as she knew I would miss her. Looking back now I see how astute she was! Oh what fun it was! 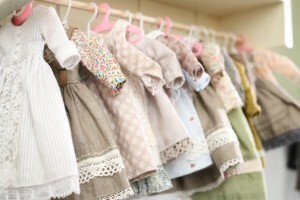 They no longer sat sadly on the shelf gathering dust, but were dressed and fussed and photographed just like little girls. It was so exciting, I’d post my picture and at once there would be a like or a comment, and vice versa! A whole new world was opened up! 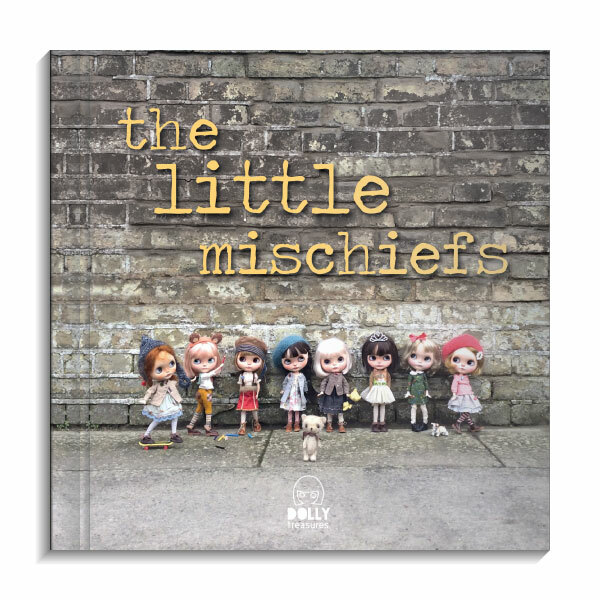 There were already a number of Blythe accounts on Instagram and I soon had an insatiable appetite to learn all there was to know… and oh my goodness how much there was to know! It didn’t take me long before I started to seek out all the wonderful things I could buy. Handmade leather boots and shoes, the most perfect clothes of vintage fabrics, hand dyes silks and lace, tiny knitted jumpers and socks, fluffy bunny eared hats, and mohair jointed teddy bears the list goes on! 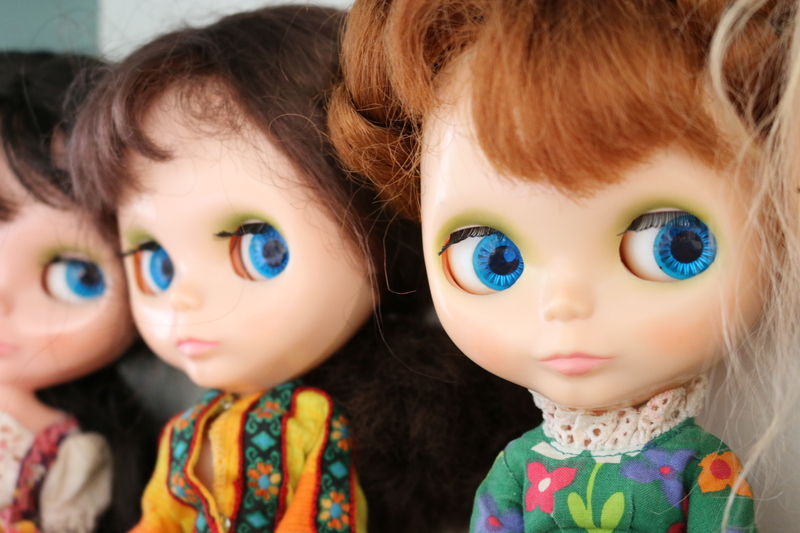 I then discovered the Custom Blythe Doll; I was totally fascinated with their matte complexions, hand painted eye chips and beautofully carved features. I found them irresistible. Customs are so much more than dolls, they are works of art and there are the most amazing customizers who can carve a pouty little mouth or a shy smile with dimpled cheeks in the most realistic way that you believe they could breath. Needless to say I was captivated and had to have one of my own. 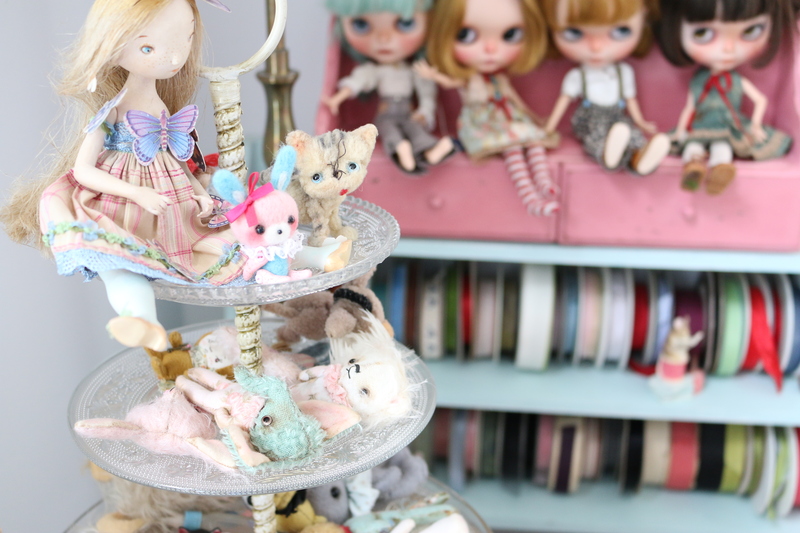 I bought my first Custom Emily from Almond Dolls at my first Blythe convention in Paris. So eager was I to own a Custom I bought her without hesitation. I was so excited to see all the things there were to buy; I’d never seen anything like it before it was amazing! At Blythe Con Barcelona I bought my first Vainilla Dolly, Clairel. This was really the turning point for me. She had so much personality, the cutest naughtiest little girl who totally melted my heart! From that point on my inspiration for taking pictures grew, my custom collection grew, their wardrobes grew and my Instagram following grew! 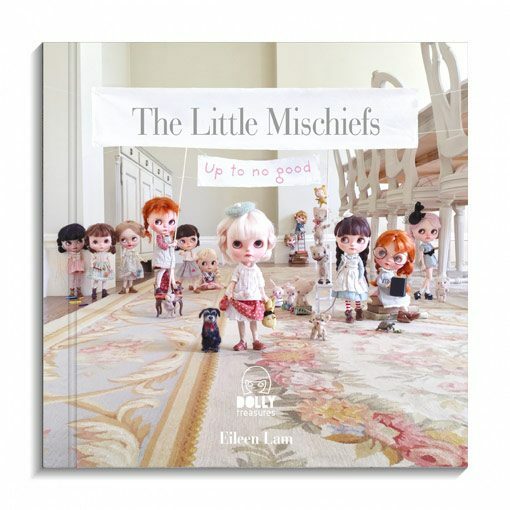 I began to create more complicated sets and stories of my girls and their personalities developed. Sometimes I’ll spend hours on a picture especially if there are a lot of girls involved, dressing them alone takes me ages! People often ask me how I come up with ideas, it’s really from everyday life, things I used to get up to as a child, and things my children did. Children find amusements in the simplest of things, and it’s replicating these moments that make a great picture. There are other times I take my girls out on location, these pictures have an energy to them as I don’t have much time and I have to capture the moment quickly! I also have to stay extremely focused, as passes by tend to hover around – it’s the inevitable curiosity factor! I never know quite how these pictures will turn out, as I have no control over my surroundings. I have come a long way since my first Blythe and it has been an amazing journey. I’ve learnt so much with still so much more to know and have made such lovely friends all over the world. It’s so satisfying and rewarding when people find the time to tell me how they enjoy my pictures. 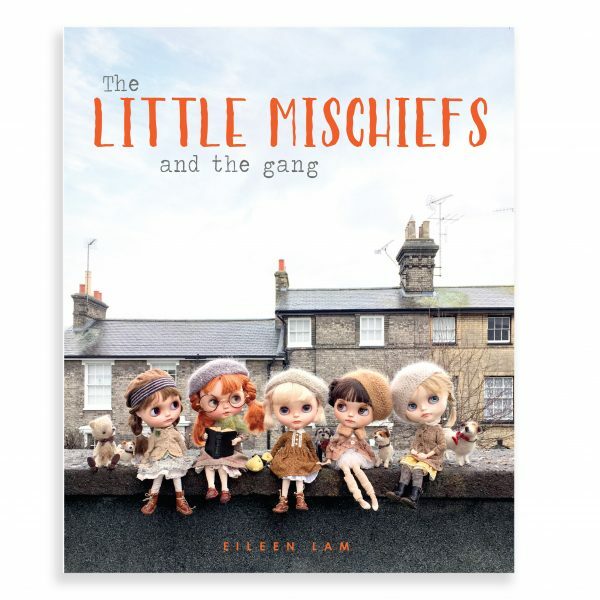 It is their appetite to follow my girls that has inspired me with the help of my daughter to bring out my book “The Little Mischiefs”. Who would have thought when Bernadette set me up on Instagram in September 2013 it would have led to this!